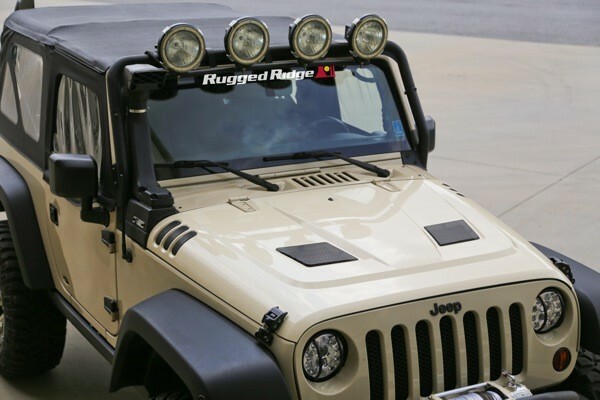 Suwanee, Ga. (October 1, 2013) – Rugged Ridge® today announced the availability of its all-new Performance Vented Hood for the 2007-2014 Jeep® Wrangler (JK). Inspired by Chrysler’s aggressive SRT® designs, Rugged Ridge’s Performance Vented Hood is engineered to provide 50-percent more ventilating surface area over similar designs, helping heat quickly escape from the engine compartment to maximize engine efficiency. Made from high quality stamped steel, the new Performance Vented Hood uses a factory inner core assuring it fits like the OE hood. In addition to fitting like a factory piece, Rugged Ridge ships each of the hoods standard with a rust preventative E-coat that’s ready to be painted. 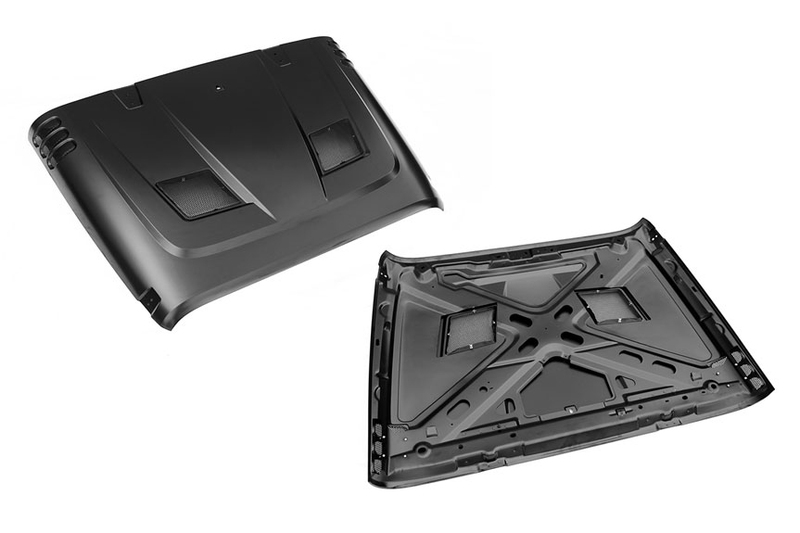 Each Performance Vented Hood can also be ordered in factory matching colors directly from any Rugged Ridge authorized retailer assuring an OE look to compliment the OE fit. The Rugged Ridge Performance Vented Hood is available online and through select Jeep and off-road parts/accessories retailers nationwide starting at$699.99. For more information about Rugged Ridge’s complete line of high-quality Jeep and off-road products, or to find an authorized retailer, please contact Rugged Ridge at (770) 614-6101 or visit its website at www.RuggedRidge.com. Jeep® & SRT® are registered trademarks of Chrysler Group LLC.